​European lawmakers are calling into question the ability of the Troika to effectively deal with the crisis, and many are attacking its methods. 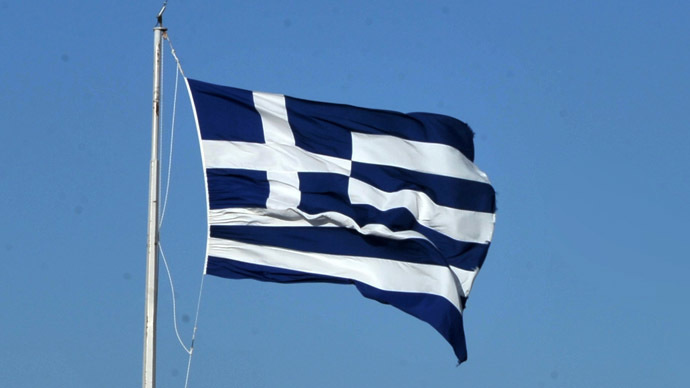 An investigation report due in April will look at the handling of the Greek sovereign debt debacle. 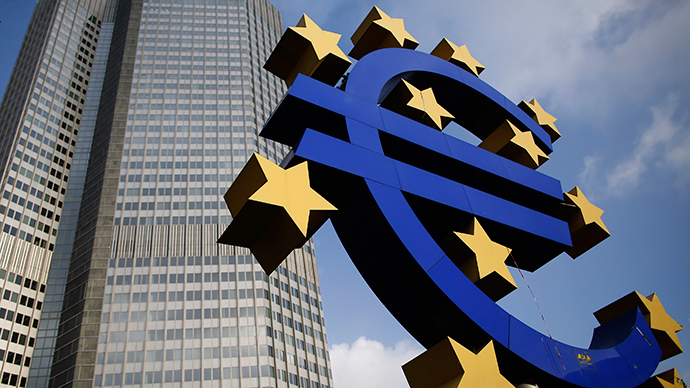 The probe by the European Parliament on how the International Monetary Fund (IMF), the European Central Bank (ECB), and the European Commission (EC) monitored and helped to solve the euro debt crisis, which started in 2008, triggered by the US financial collapse. The IMF has admitted it made mistakes in the handling of Greece’s first international bailout, but some EU lawmakers want more answers. Findings are expected to be published in April 2014, a month before the next EU Parliamentary elections. Initially, the Troika was established to provide bailout loans to the eurozone’s most indebted nations and get them back on track, but instead crippling austerity has left most economies worse off than they were before the crisis. “In terms of public debt. In terms of potential growth. In terms of employment, the results are worse now than before troika intervention in a country like Greece,” Dr. Yves Bertoncini, director of Notre Europe, a Paris-based EU policy think tank, told RT. The eurozone’s three big lenders, known as the Troika, yield a great amount of power, as they have lent over 396 billion euro to Greece, Cyprus, Ireland, Portugal, and Spain. Greece was the first in 2010, and most recently, Cyprus in 2013. Greece has already received over 240 billion euro in loans from the troika of lenders, almost the equivalent to the country’s entire economy. Ireland was the first country to exit the IMF bailout program, which it did in December 2013. 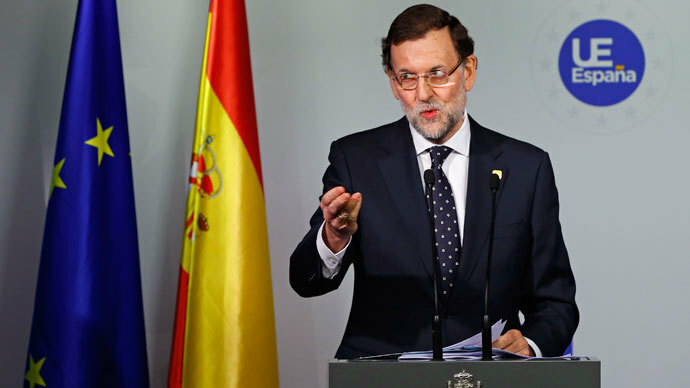 In order to do so, it had to slash the national budget by 30 billion euro and cut salaries by up to 20 percent. Mounting debt and high-unemployment have only worsened since the onset of the crisis in 2008. Greece’s economy hasn’t expanded since 2007, despite the IMF predicted 1 and 2 percent growth in 2011 and 2012. In 2011 it shrunk more than 7 percent, and in 2013 it contracted 4.21 percent. The eurozone has over $11 trillion in debt- much of which Cyprus, Greece, Ireland, Portugal and Spain hold a significant portion. In southern Europe hopes of a light at the end of the tunnel aren’t high, especially for the generation growing up under the troika. 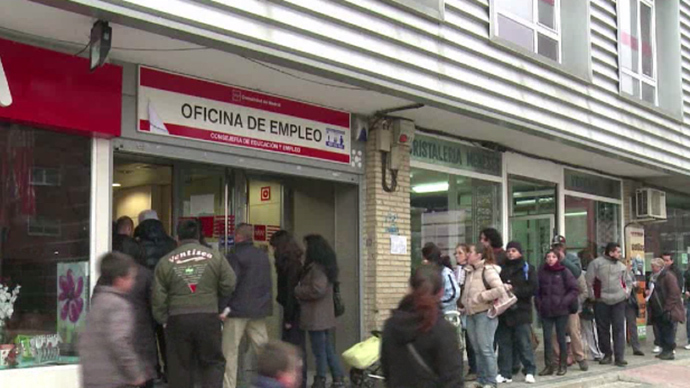 High unemployment also continues to plague southern Europe; countries like Spain and Greece have unemployment rates nearing 30 percent. Youth unemployment is even worse. “Unemployment is not scheduled to fall, we are going to see a large number of young people, I mean in Greece and Spain youth unemployment is over 50%, and these people have little chance of getting a job and achieving economic security,” Professor Trevor Evans of Berlin School of Economics and Law, told RT. The IMF is confident unemployment will fall slightly in 2014. On Tuesday, an updated forecast said the figure for the 18-nation Eurozone will drop slightly from 12.1 percent to 12 percent. “There is quite a bit of propaganda going on right now, trying to make people believe there is improvement in Southern Europe. In fact there’s no improvement I can see, the situation is worse than ever. The banking crisis is still not resolved,” Bernd Lucke, leader of the Alternative for Germany party, told RT. On Tuesday, the European Commission released a new economic GDP forecast of 1.2 percent growth from the previous November estimate of 1.1 percent. In 2013 the eurozone came out from recession after 5 years of financial havoc. Those running in the EU elections this year think a different approach is needed on how the EU handles its debt and will be looking to ring the changes in the next parliament.